We also got hands on the much acclaimed Raspberry-Pi, thanks to OLE Inc in Cambridge, USA. We have tested to see if we could replace our traditional school server with Raspberry-Pi model B. However, Raspberry Pi couldn’t handle the the task when we loaded our digital library E-Pustakalaya on it. Though the page were browsable, the performance was very slow. We replaced Apache with Nginx and optimized Mysql, but still the CPU power was not powerful enough. Upon more investigation, we found more expensive but highly powerful Raspberry-Pi alternatives like Odroid from hardkernel. It comes with 1.7 GHz quad core CPU and 2GB of RAM. We are hopeful that this can replace our single core 1.6 GHz atom processor school server. 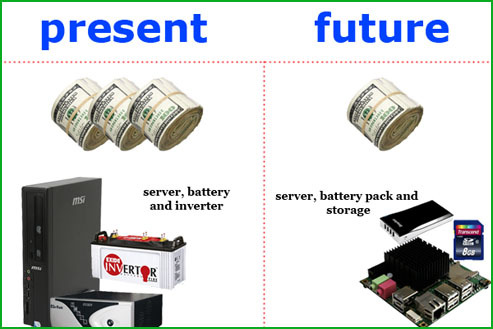 We can reduce the cost of our future deployment tremendously by substituting MSI server, inverter and battery (for power backup) with Odroid, battery pack and SD card. Next Article Getting Ready for XO-4 Touch. I’m going to use eMMC instead of SD card on Odroid. 🙂 Also the price is pretty similar. Any Demo app to see the performance .. ? You can check around the Cellphone stores, yo are likely to find the suitable one for your need. I am currently using Raspberry Pi 3 Model B off a Samsung Note 5 charger 5V 2.0 A and its smooth. I am very interested in Raspberry Pi. Where can I find it in Kathmandu?? if you want to create a server out of Raspberry Pi then clustering will be a better idea i think. 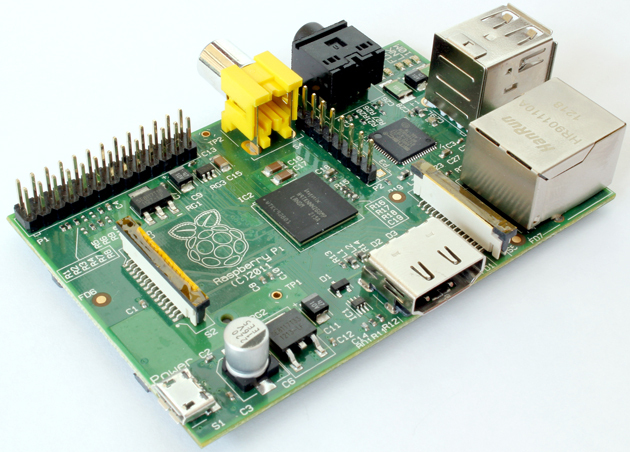 Now that Raspberry Pi 3 Model B is available it could do more.